Yes, Pets Need Routine Dental Care Too! A pet’s bad breath may be more serious than an aesthetic problem. Bad breath may be a sign of bacteria attacking your pet’s teeth and gums. It may indicate periodontal disease, one of the most common conditions affecting dogs and cats. Just like you, your pet needs routine dental care to keep their teeth and gums healthy. 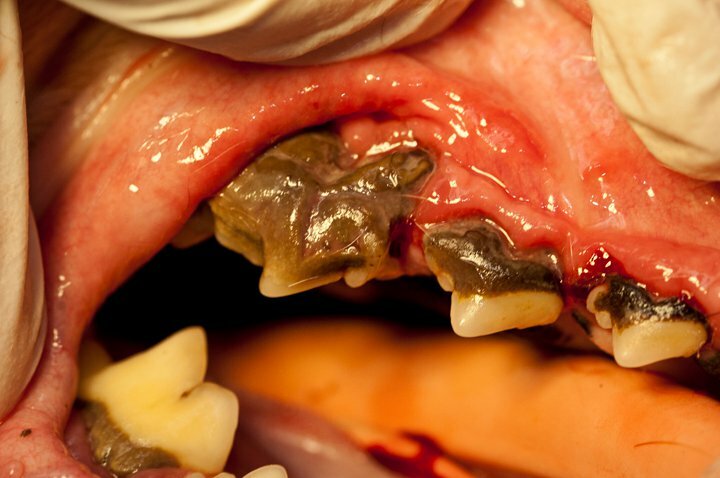 What Causes Periodontal Disease In Pets? Periodontal disease is caused by the buildup of bacteria in the plaque that forms on the surface of the teeth. These bacteria can lead to inflammation of the gums (gingivitis). Periodontal disease can even progress to destroy the gums and tissues that support the teeth which may result in the loosening --and eventual loss -- of the teeth. The dangers of periodontal disease go beyond bad breath and lost teeth. Left untreated, periodontal diseases may cause changes in your pets’ kidneys, heart, and liver. Consequently, proper oral health care, including treatment and prevention, is important for the optimum health and quality of life of your pet. Poor Oral Hygiene: Ignoring the condition of your pet’s mouth can lead to periodontal disease, tooth loss and other serious health problems, such as heart, liver and kidney failure. Breed: Periodontal disease is more common in smaller breeds of dogs and certain breeds of cats. Age: Periodontal disease is more common as pets grow older. The First Step Toward Good Oral Health Is A Dental Health Checkup. Every regular exam in our clinic includes a thorough dental exam. If we find signs of disease, Dr. Kureshi will recommend a treatment plan. It is important for the overall health of your pet that we take care of any dental problems we find. We will also recommend a home care plan that is a key part of keeping your pet healthy. 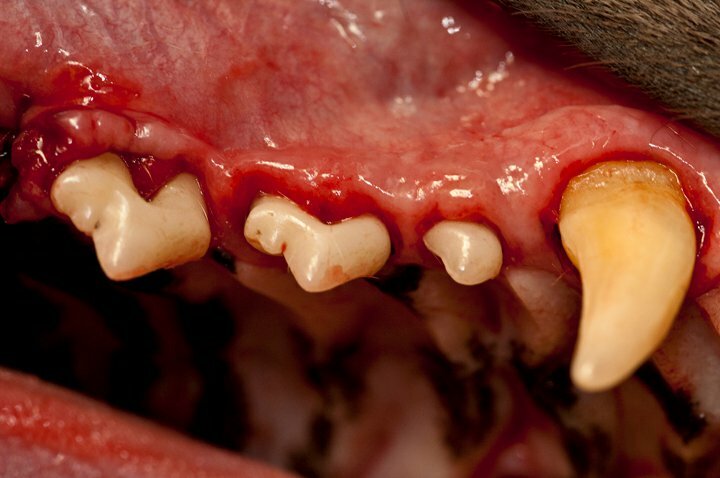 Plaque should be removed from your pet’s teeth every day before it mineralizes into tartar. Brushing your pet’s teeth or feeding a dental food each day will control plaque buildup.Be sure the dental food you use offers total balanced nutrition for whole health. Ask us about the best methods of home care for your pet. Routine dental cleanings are an essential part of keeping your pet healthy. For pets who form tartar quickly or those with a history of oral problems, frequent examinations and cleanings may be advised.